A full length version of the Company's nostalgic work. 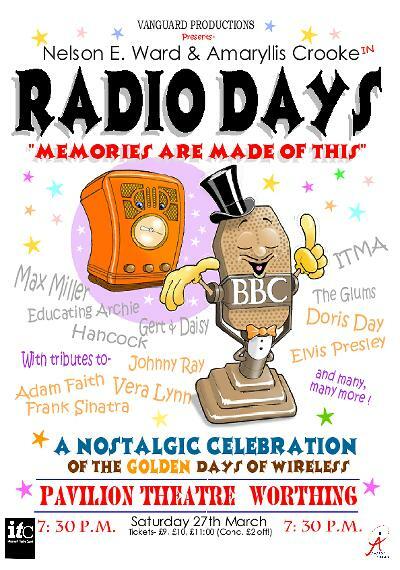 Performed at the Winter Gardens in Eastbourne, the Phoenix Theatre in Borden and the Pavilion Theatre in Worthing. 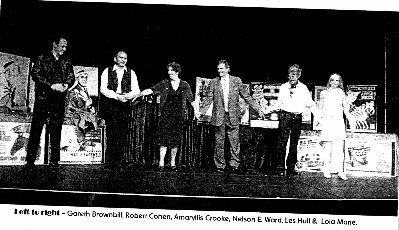 Les Hull's first play which was performed at the Hawth theatre in Crawley. A comedy which told the story of Terry Arkwright, a redundant worker who had reached a mid-life crisis prompting him to embark on a crusade of vigilantism and "righting wrongs". A crusader's helmet and a cloak- two reminders of Terry's drama club many years ago. Terry draws his son and indulges in a kind of "comic-book" fantasy. 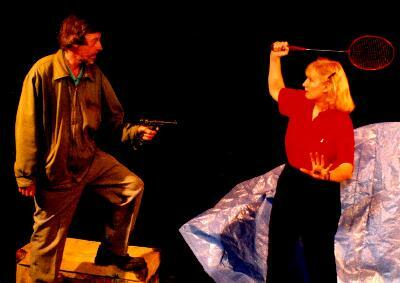 "A superbly funny piece of theatre, combining comic-book fantasy with kitchen sink drama " Crawley Evening News. 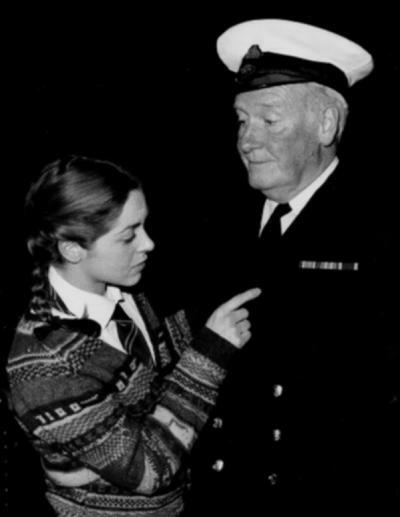 The Company was started in order to produce this specially written play for the commemoration of D-Day. The play was a multi-media production which incorporated archive film footage with drama, song and music of the war years. It toured the south of England and opened at the Brighton Festival before playing to over 1000 war veterans in a marquee in Portsmouth. Excerpts were screened on satellite TV and NBC news. 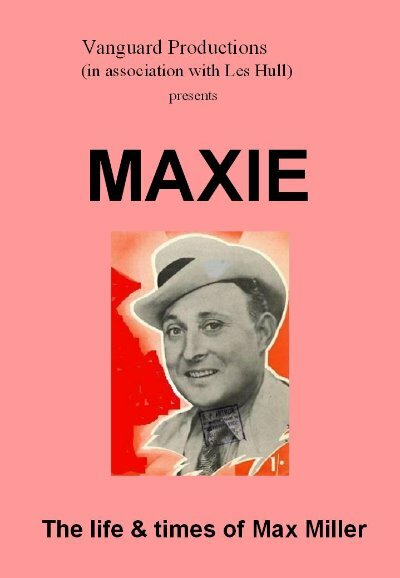 A new play about the life and times of the legendary Max Miller. Premiered at the Hawth theatre in Crawley and the Pavilion theatre in Max's home town of Brighton. The company formed the Portslade Youth Theatre to empower young children of secondary school age to put on their own variety show. They were joined by members of the community and the show was produced and directed by Vanguard's professional team to celebrate the talent of the area. After the success of Echoes of Variety, a show was put on using local community members and the Portslade Youth Theatre the following year. Both shows were performed at the Windlesham Village Hall, Portslade. The Portslade Youth Theatre was disbanded when the Company moved their location from the area. The Company was commissioned by the Gosport Literary Festival to dramatise the new Penguin book of classical sea poetry. This was performed in libraries in the Gosport & Portsmouth area. 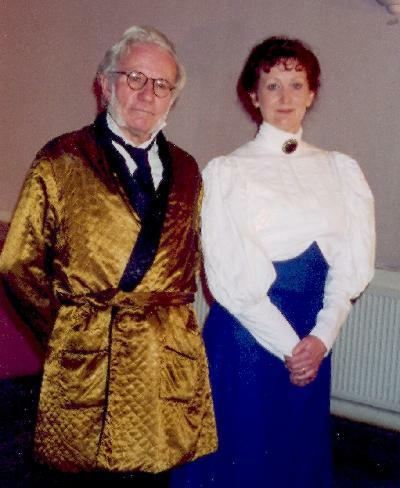 The drama was written by Brendan Taylor and Lyn Colbeck.